Somewhere around 4 p.m. on the 27th of November of the last year, on a strategic Sunday that was washed with the pleasant weather of a late autumn and early winter in Delhi, I found myself getting off an auto at Tolstoy Marg. The auto walah was more interested in the crowd a few paces ahead and hardly counted the money I handed him. Then, a couple of steps later, I had added to the gathering. 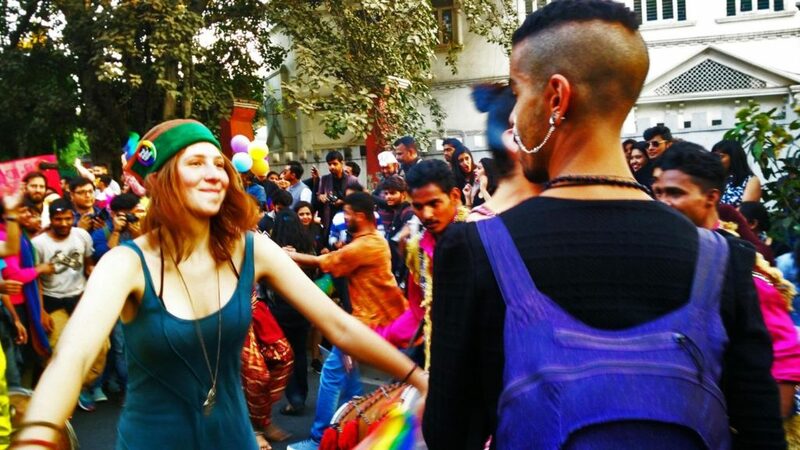 This is Delhi’s 9th Queer Pride Parade. The first time such crowds gathered (in 2008) to celebrate gender fluidity, there were only 500 marching. Those who witnessed this new phenomenon were apprehensive and most didn’t know the significance of the rainbow flag. However, by 2016, that number has grown to over 3,000. The cops stand on the other side of the road, respectfully distant, some wear incredulous half smirks but their cynicism falls flat when their colleagues don’t reciprocate. The parade is no longer such a culture shock as it was nine years ago. 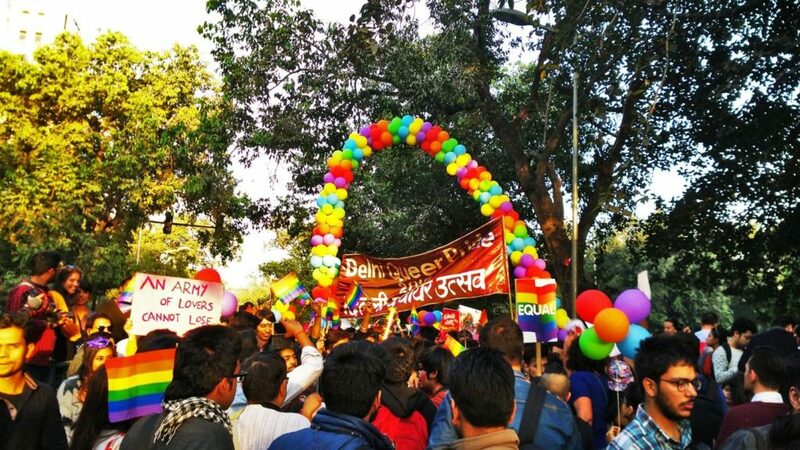 From a distance, the pride parade is an assembly of the young and brave who take the opportunity to paint the streets of the capital with colours of equality. The skyline ahead is dotted with balloons, rainbow flags, and posters. But up close there are all kinds of people. School uniformed teenagers, college going students, University lecturers, research scholars, LGBT activists, those who have come out and those who have not and even those who are just experimenting. This is an occasion to make a point, be heard and celebrate flamboyance. I might have picked out the most colourful (but crumpled) top in my closet. But most of those who walk beside me have been more proactive. There are glitter masks and bubblegum pink head wigs and satchels and tiaras and mascara and lip colour and lovely beard clips and bow ties and shorts and gowns and dresses and ghaghras and what not. It’s a street full of potential instead of stringent rules. As we turn left getting closer to Pragati Maidan by 5, I see folks from across the road jog over to join the procession. 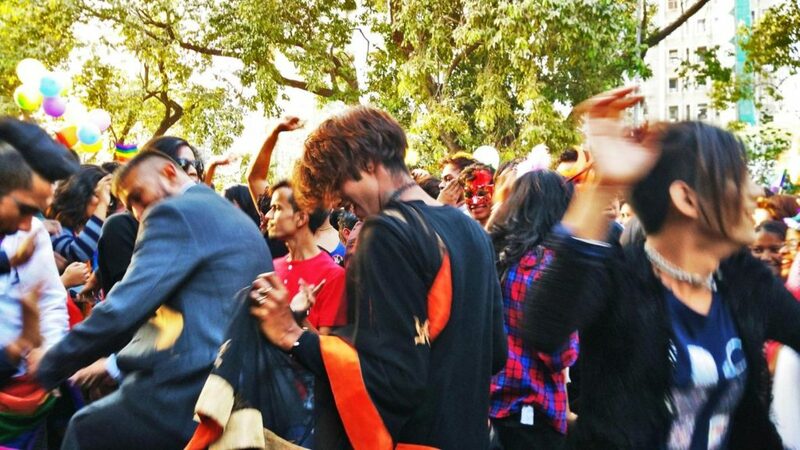 Other casual and accidental participants stand by the side, observing the slogan chanting, dholak beating, gyrating, hula-hoop balancing crowd, with folded arms. A little apprehensive but still watching. Sometimes, maybe even staring and mumbling under their breath (feeling the need to hush their voice as they exchange opinions with friends standing close by). And that’s when I realized the point of the parade. Those who gather in Delhi to be heard every year in November want and need those stares. Those stares are a guarantee that the day isn’t a waste. 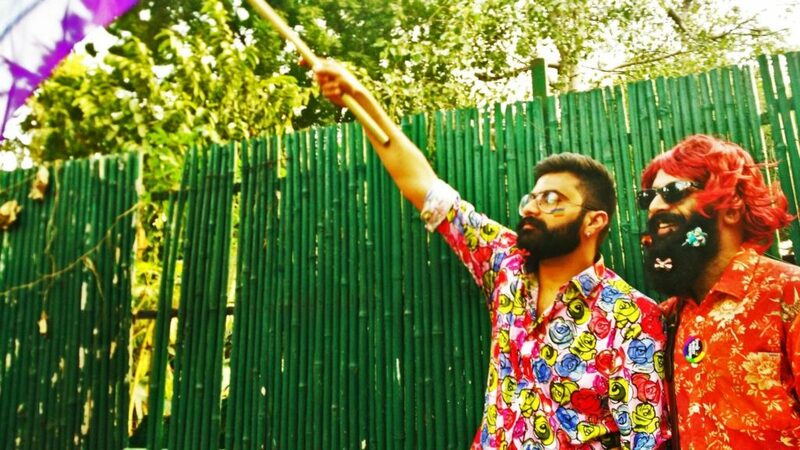 It’s not just dressing up and walking and sipping tea at Pragati Maidan at the end of the day. No, the stares are what makes it count. It’s a sign that India is seeing what it has for so long closed its eyes to. That day all of us were witnessing differences and are making our peace with it, accepting it instead of frowning and criticizing. The Queer Pride Parade may have started with only 500 people in the beginning but each year the parade gathers, it’s one step taken towards celebrating inclusiveness; to unfolding crossed arms and winning over half smirks. (Images are provided by the author).